How Usenet—a protocol intended for conversations—was forever changed once the public figured out you could transfer binary files through it. Editor’s note: Tonight’s GIF comes from a map of Usenet groups, circa 1983, on the website OldUse.net, which recreates the Usenet experience from 30 years ago. A shoutout to the Amiga YouTuber Dan Wood for pointing it out! Books and Pets to Curl Up With This Fall: What’s better than catching up on the hottest new books this fall? 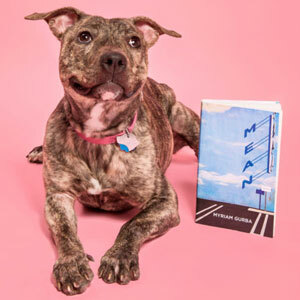 Pairing exciting reads with adorable (and adoptable!) pets. Read it Forward is offering readers a free download that’s guaranteed to brighten your day: Books and Pets to Curl Up With. The year that “netnews,” the protocol that became Usenet, was first created by two Duke University students. 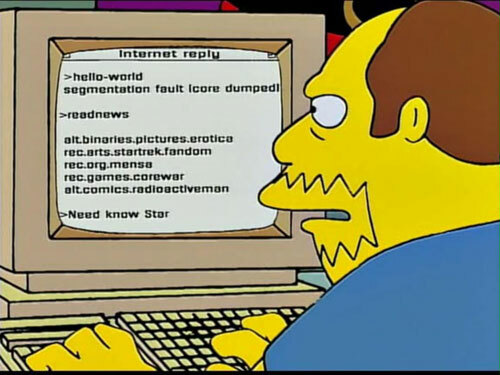 (It was released to the public as A-News, but would eventually evolve into Usenet after a series of improvements.) The protocol took advantatage of the Unix-to-Unix Copy Protocol (UUCP), a distributed way of copying files between computers that was built alongside the ARPANET, the network that became known as the internet. Eventually, it became compatible with it. The developers, Tom Truscott and Jim Ellis, made the software available to any Unix host, and within a few years, the protocol became one of the most popular ways to communicate through the still-formative internet. But the protocol’s roots in UUCP, effectively a peer-to-peer file-sharing mechanism when you break it down, meant that it was also an effective way of sharing files. 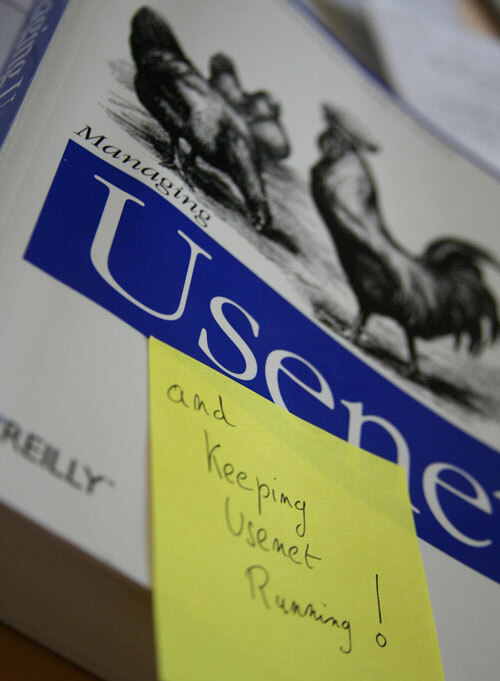 Usenet was designed to only share text, but programmers continued to improve on the technology. 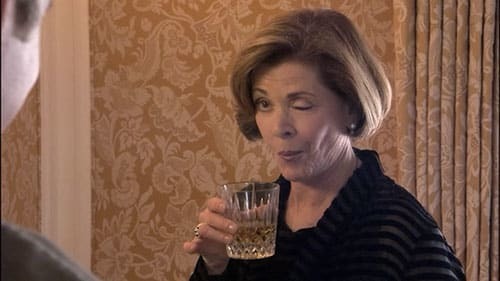 One particularly pivotal figure was Mary Ann Horton, a University of California Berkeley graduate student who was involved in building up UUCP’s early protocols, and helped create a connection between the protocol and the broader internet. Functionally similar to the zip file format in some ways, Uuencode effectively worked as a bridge between binary files and raw text. If you ran a Uuencode command on a binary file, it would turn it into a jumble of text. 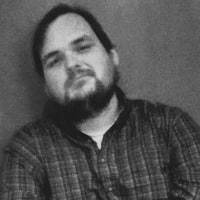 Another user could run a Uudecode command to turn the file back into a binary format. — Author Harlan Ellison, in a 2004 joint statement with AOL announcing a settlement over copyright infringment claims. Ellison sued the company, in an early test of the Digital Millennium Copyright Act’s safe harbor provisions, because a user shared one of his books in an electronic format over Usenet, and that book was accessible via AOL. The ongoing suit, a favorite of TechDirt, was largely found in favor of AOL, though the Ninth Circuit Court of Appeals didn’t fully clear the dial-up icon, leading to the settlement. Ellison’s lawsuit was just one of many problems for Usenet. Sure, there was some news and legitimate information being shared—for example, teenage chartster Matt Levine, who I wrote about last year, built his following by sharing charts via Usenet for years—the large bulk of what was being shared, bit by bit, was encoded binary files.